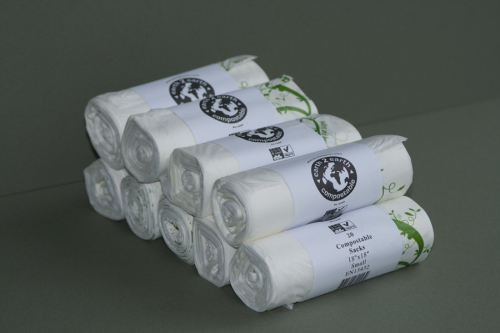 1 Years supply using 2 – 3 bags per week. 14 packs / 14 bags per pack / 196 bags. Just 22 cent a bag. 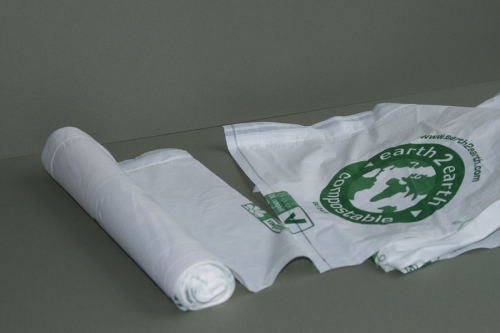 EU Certified to EN13432 – Seedling and OK Compost logos accredited. 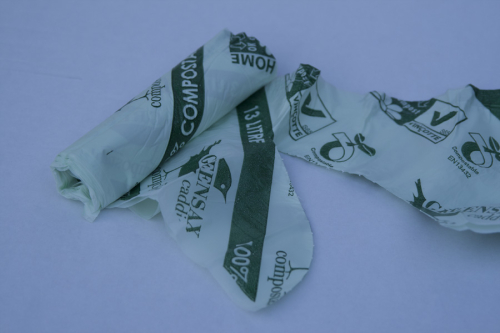 100% Compostable Natural Wet Strength Material. 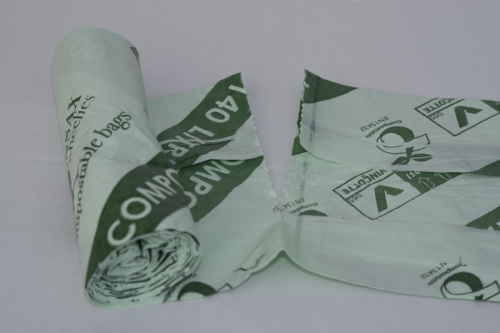 Only these bags accepted in areas with Anaerobic Digester plants. Roll down top of bag to close. 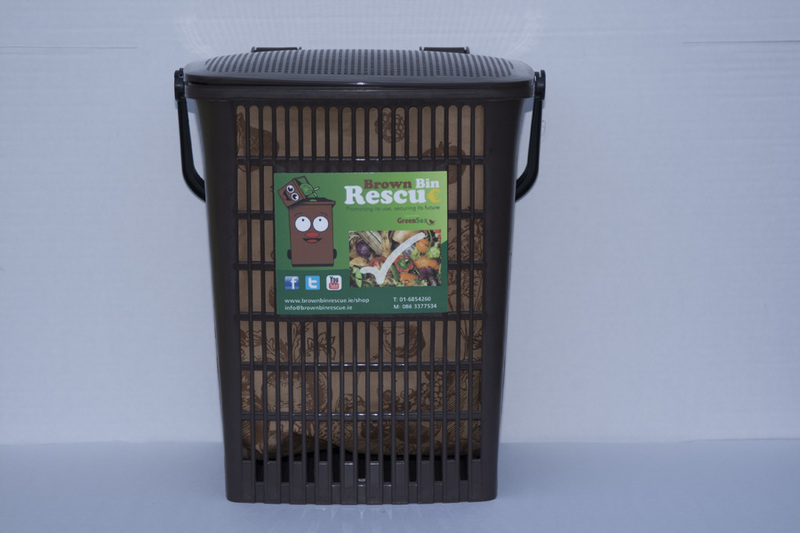 Brown Bin Rescue home trialled and approved. Typically .30 to .40 cent lower per pack than retail outlets. 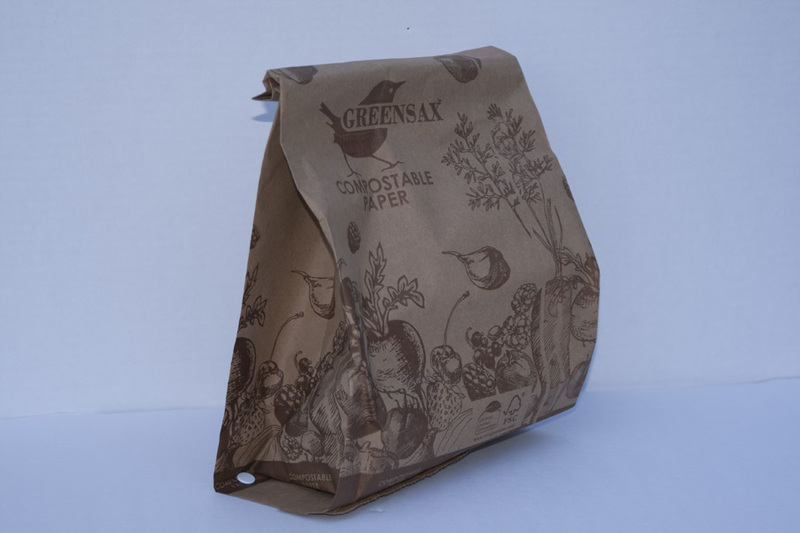 This Compostable Wet Strength Paper Bag from Greensax is much favoured by Irish households but is premium priced in supermarkets. 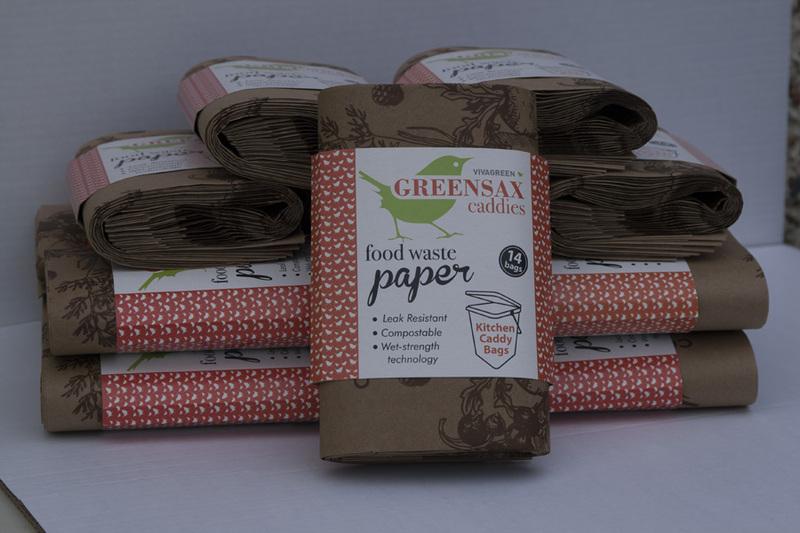 However buying in bulk at Brown Bin Rescue and with free delivery they cost you much less. 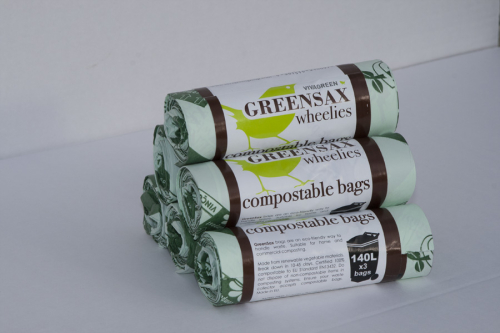 Made from paper a renewable resource and lightly waxed to make them wet strength, bags break down quickly to nourish the soil when home composted, and nourish the compost in an industrial unit. 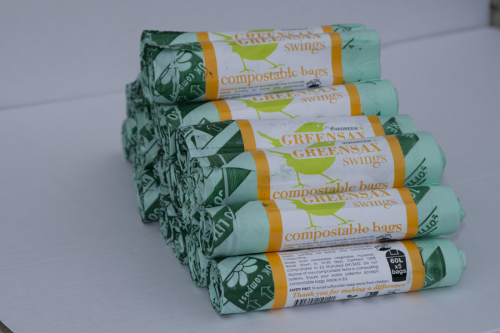 The Compostable bag keep’s a solid kitchen caddy, or the food waste recycling bin of a bespoke recycling drawer of a modern kitchen clean. Brown Bin Rescues Italian Aerated Caddy gives great support to the paper bag, where no odours are created as the waste food is allowed to breathe. Bag is only disposed of when 3/4 ‘FULL’ as has to be rolled down at the top to close, but ‘Not’ discarded because of ‘Odours’ generated when stored in solid lidded bins or caddies. Paper Waxed / Wet Strength. 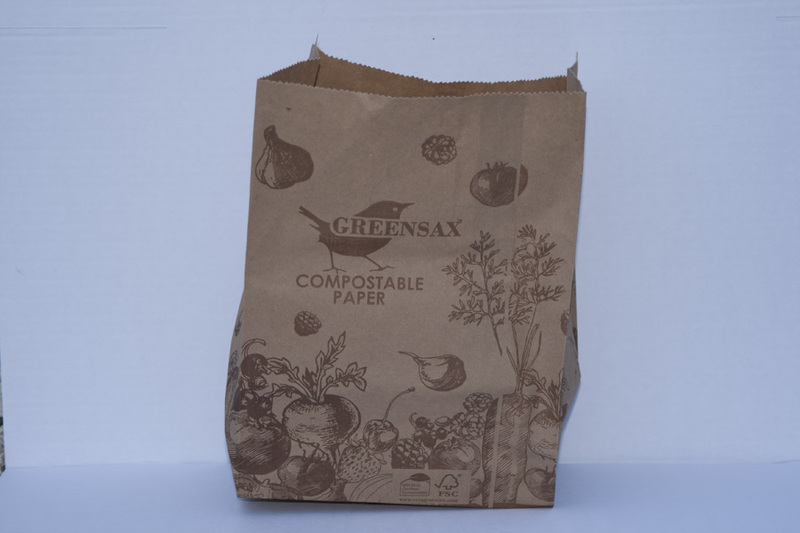 Compostable bags are branded with ‘Greensax Logo’. BBR Note! 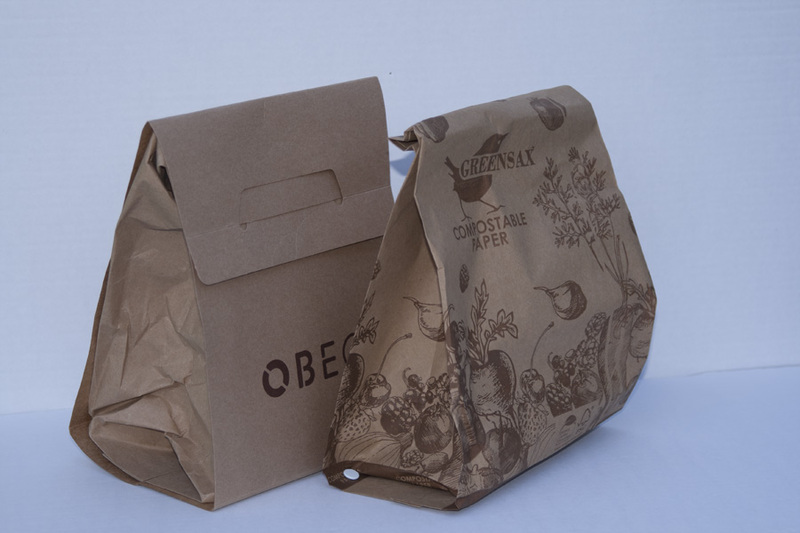 OBEO Box / Bag is a similar bag wrapped in cardboard.